Fugu. Blowfish. Pufferfish. By any other name a poisonous fish. The poison, tetrodoxin (TTX), that's contained in the organs and skin, is a sodium channel blocker that causes muscle paralysis and can eventually cause death by asphyxiation (since your respiratory muscles similarly are paralyzed!!). Who would eat such a dangerous thing? Well, we would, of course! Organized by the ever enthusiastic Choisauce, a group of daring foodbloggers+friends, arrived at Dae Bok to confront their (not one, not two, but TEN) blowfish dishes! Alas, we could not have all ten. 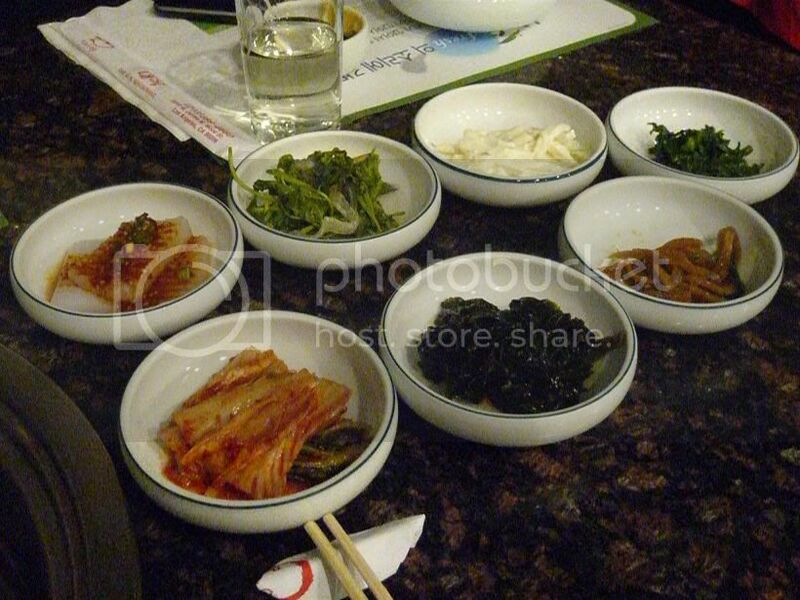 We were divided into three tables so each table got different dishes. On my table were veteran foodbloggers whom I met for the first time that night, Deep End Dining and Rameniac. As is usual at Korean restaurants, the night started with some banchans. Don't be fooled, though. Not all of them are mere banchans. 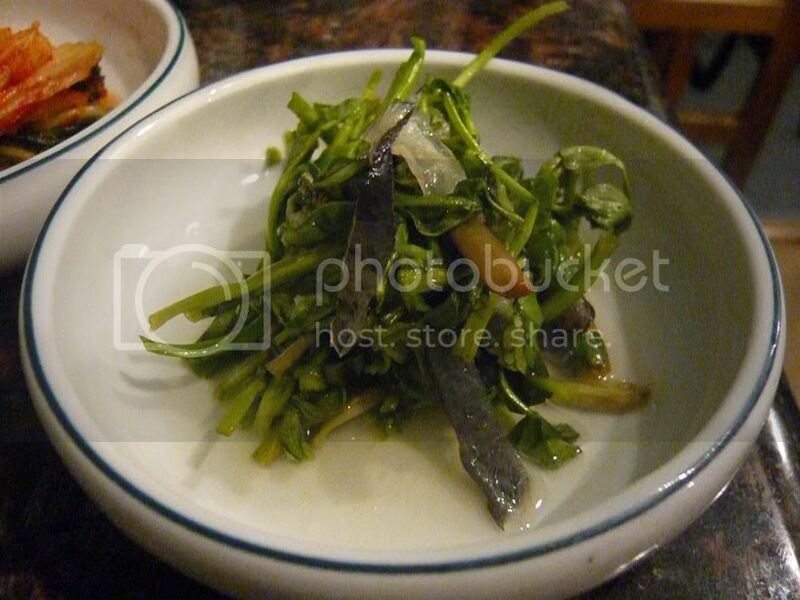 They include a dish of blowfish skin salad! I did just say the skin is where the poison is. But apparently if you take out all the spikes then you can eat the skin. So we took a bite. Hmm. Am I feeling dizzy? Or maybe that was just the shochu. Rameniac claimed his lips were getting a bit numb ... Meh, seems like we're still alive. Time to eat more!! This chewy skin salad was perhaps my favorite blowfish dish of the night. 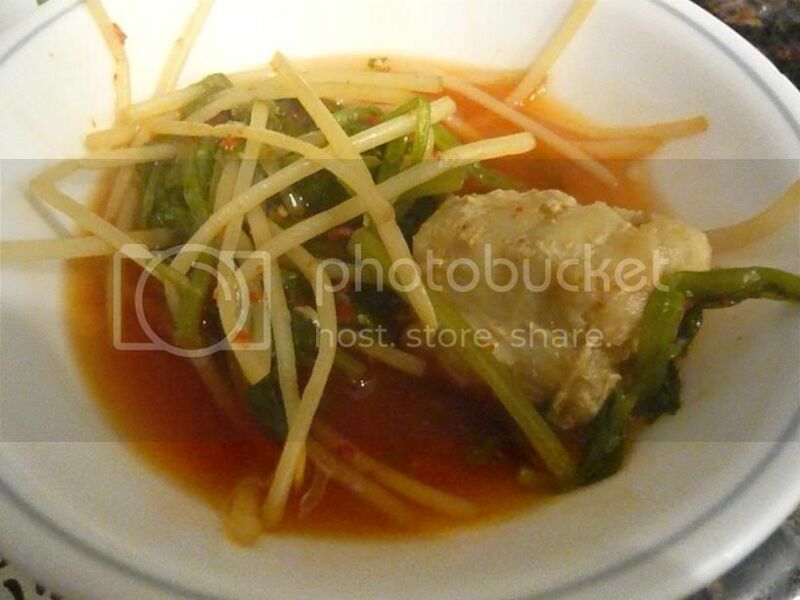 Each table got a blowfish jjim, a steamed fish dish with bean sprouts in chili paste. So, yes, the blowfish. It was meaty. A real meaty white fish. Other than that it doesn't have a distinct taste. Most of the flavors of the dish comes from the chili paste. The meat's pretty tough in this jjim so we didn't eat too much of it, especially with something else cooking in front of us. One of the other tables got the blowfish bulgogi which I heard was good ... They didn't share! 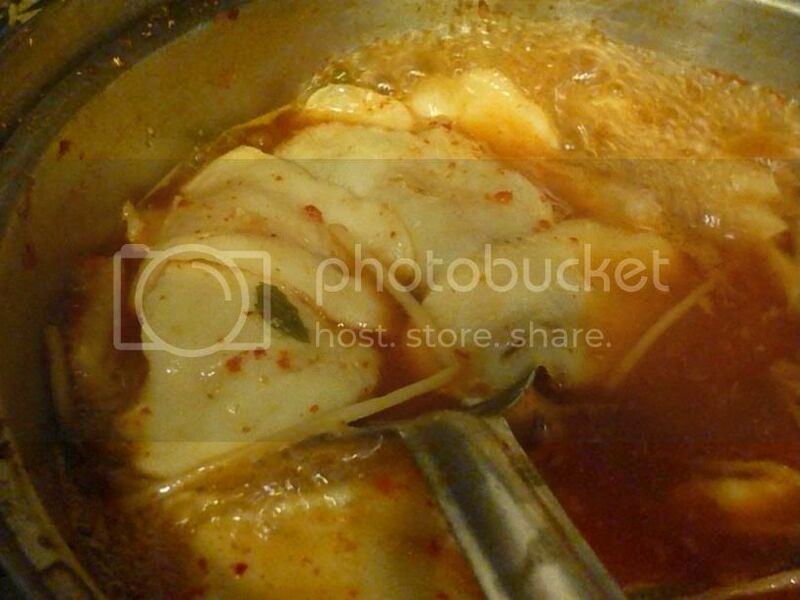 Spicy, garlicky, fish broth. Talk about flavorful! The fish was also much more tender in this preparation. Definitely a win over the jjim. 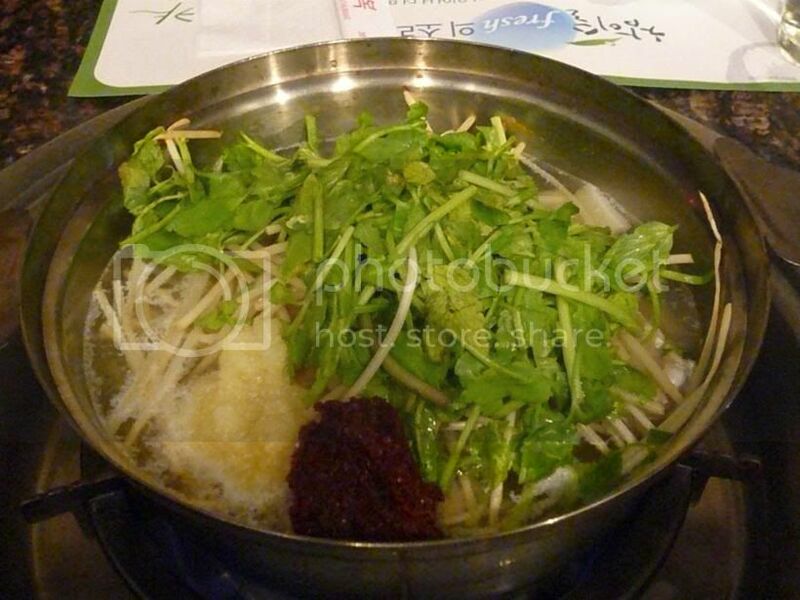 After you're done with your blowfish and veggies, they'll come add some dumpling-like dough into the boiling pot. It still doesn't stop there. 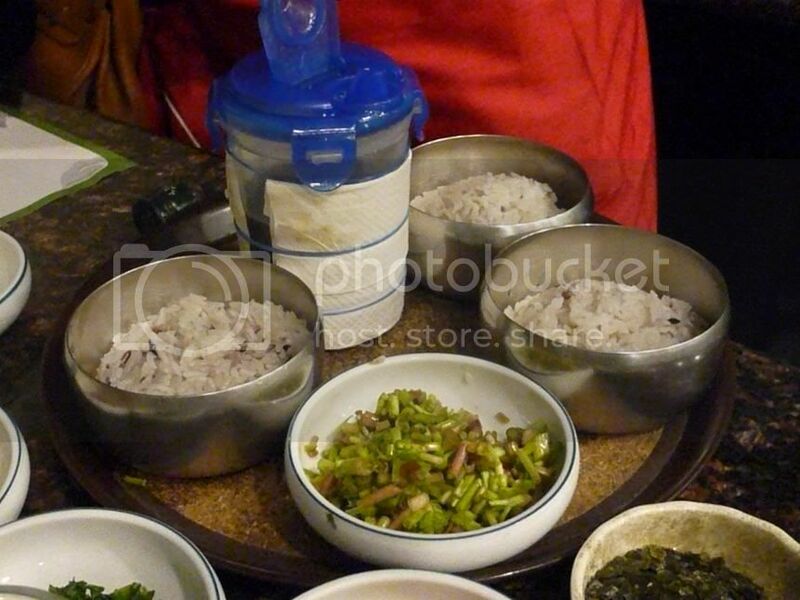 After making sure that we were done with the dough and most of the soup, they came bearing rice and beans and veggies. 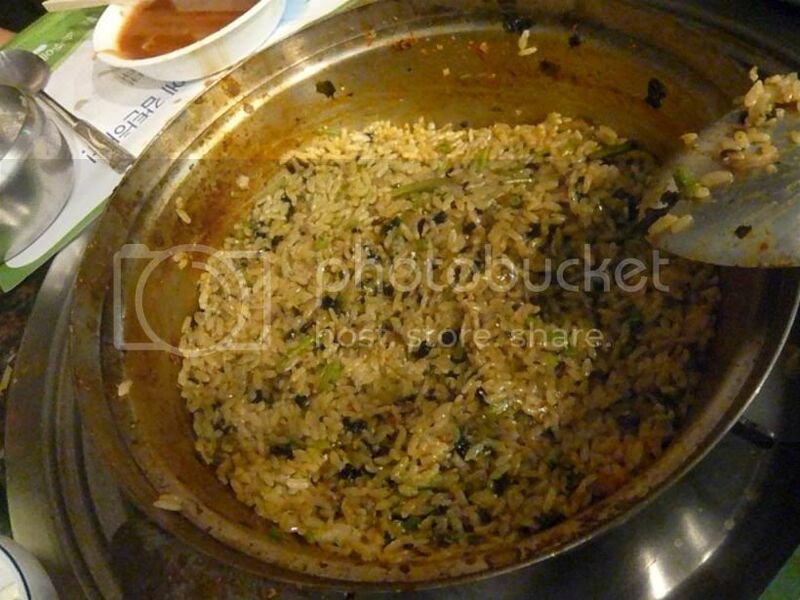 Yep, it's time for the fried rice! All these + oil are mixed in together with a bit of that fiery blowfish soup. I got excited just watching her stir it in the pot! Wait a bit until the bottom and sides are crispy. Yum yum. 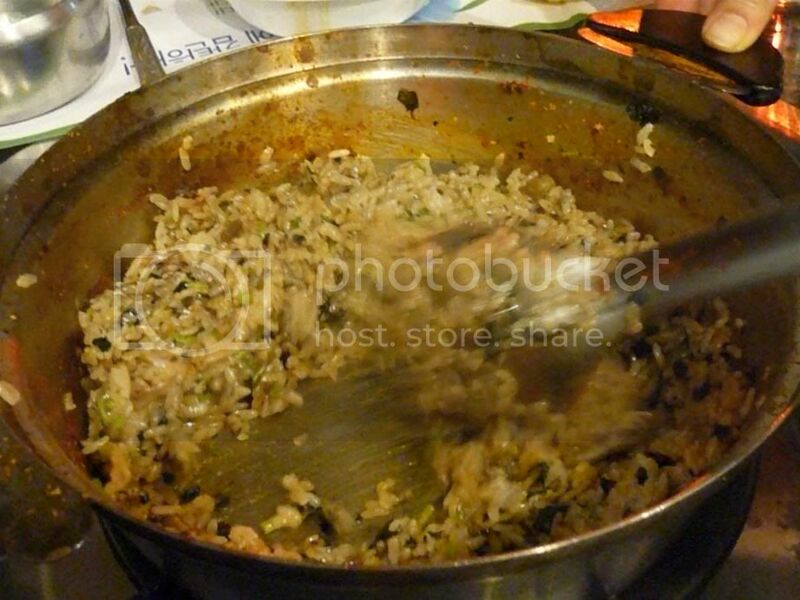 Crispy fried rice filled with the flavors of that spicy fish stew. A great way to end it! Having survived this challenge, we celebrated in style with a 5000cc bong at Crazy Hook and some karaoke. I must say, Deep End Dining and rameniac both are quite the karaoke singers!! We're still demanding that Pepsimonster destroy all evidence! I would have uploaded every video on Youtube if I have anything. Funny to see you play up the death-defying angle. That's a good way to draw in the readers, but I was never worried. 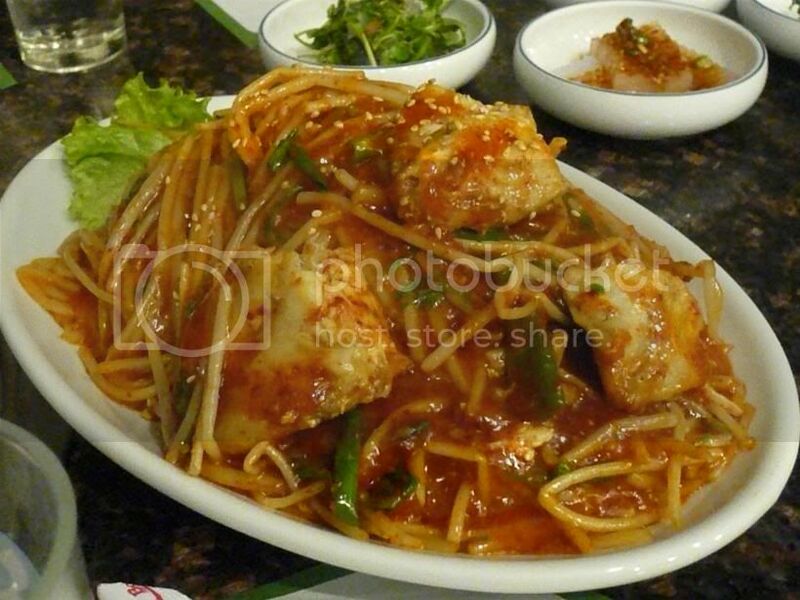 The blowfish itself was pretty tame and bland, but in that spicy stew, it contributed to a good dish. That was a fun night; now I regret skipping the beer bong and karaoke stops. Glad that you got the full effect.